Now you have a unique opportunity to turn your vacation into something far greater than just a trip away from your daily grind. 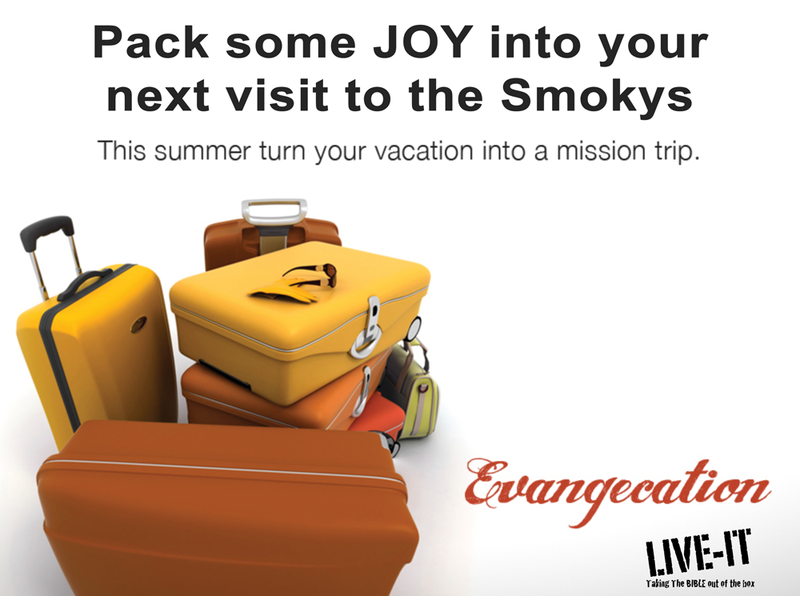 While staying at The Smoky Mountain Resort Lodging and Conference Center, you can also take the whole family, church group or team on a Envangecation. LIVE-IT, a local 501(c)3 puts legs to the words of the bible by working with volunteers to coordinate home repairs, landscaping, prayer and encouragement for individuals and families in dire need. Whether you are a single individual, a couple, small family or large group LIVE-IT is grateful for any and all project assistance. 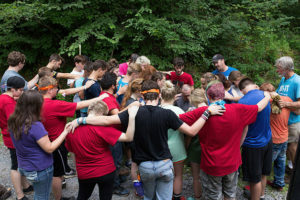 Make your vacation an experience to remember and cherish by sharing at least one day with Appalachians that could truly use your caring and helping hands. MISSION: To seek and serve the needs of our community by using the gifts and talents of volunteers to advance the Kingdom of God through service to their neighbors; to teach it is a greater blessing to give than to receive.